Harlem Shuffle is a band out of Sandy Utah, that met at the Sandy Utah School of Rock. 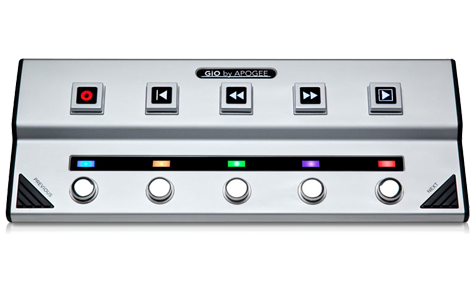 Armed with GiO as their only recording interface, they recorded every instrument in the song “Secret Life”. Here in their own words is a description of how they recorded each instrument. Bass: Recorded the bass in a lesson room at our Sandy School of Rock, direct from bass to the Gio. Guitar: Recorded guitar in my living room. Mic’ed the amp with an SM57, into yamaha mixer, straight into the Apogee Gio. Acoustic guitar was recorded directly into Apogee Gio. Keys: Recorded in my living room directly from a Nord Electro 3 straight into the Apogee Gio. Vocals: Recorded vocals in my bedroom with an SM58 into yamaha mixer, straight into Apogee Gio.